Confirmed Sites: Bloom Carroll HS, Don Edwards Park, Liberty Union HS, Pickerington Central HS, Pickerington North HS and more to be added! Every effort will be made to ensure that out of town teams do not play until Friday afternoon/evening to help with travel expenses. Please e-mail midwestmarlinsshowcases@gmail.com with any questions! What Are They Saying about the Midwest Marlins Invitational? Click on any of the slide show items below to read about the Midwest Marlins program and what we're about and how much we love baseball. "The other team was not part of my equation. Rather, I drew strength, Confidence, from the sure knowledge that I had done all things possible to prepare myself and our team to perform at our highest level in competition. The opponent might perform at a higher level - or not. I didn't concern myself with the other team's perparation and potential: I just concentrated on ours." Deadline for Marlins Gear Orders "Wave 2" January 31st 2019. Don't miss out!! RT @GirlsMwMarlins: @FairfieldMarlin Happy Birthday Nolan!! Welcome to the 2018 Midwest Marlins! 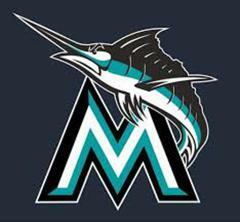 Click on the link above to register your prospective player for the 2018 Midwest Marlins. In January of 2014 the Midwest Marlins were trending 8th on one of the largest social networks for baseball recruiting and scouting, FieldLevel (fieldlevel.com). The trend reflects greater college network connections, roster completeness, player assessments and player projection accuracy and more. 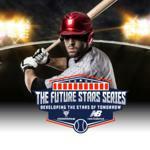 See the Marlins team page for more info on FieldLevel and how it helps the Marlins players in their recruiting process.